SMEBS is a Server Machine integrated with ERP software which conceives a new approach in software methodol ogy and software r euse technology that promotes the reuse of an applic ation on all accessible network environments and the software framework is designed to be easily instanti ated from ERP application hosted in the server machine. Besides providing all the standard utilities of Enterprise Resource Planning software, SMEBS offers easier and more perfect remote access. Only the sever part of the software is installed in a server machine. The end user will be able to access all the features of the ERP on any network environment without the need of installing a client part of the application. The end user can also access all the features of the application through internet from any part of the world with the same look and feel of the desktop application. 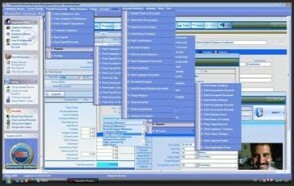 Any web based application gives limited features depend upon the capability of the web browser. Each addition/modification is a time consuming process in the web application. SMEBS prevails over all this situations and greatly improves the experience of executing the application. 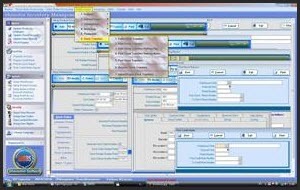 No need of installing client part of software and configuring any user system to access the ERP. 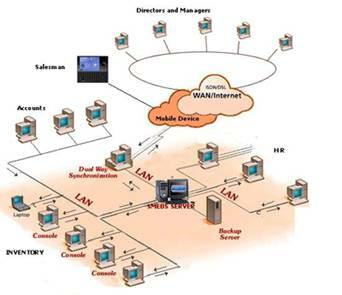 Thereby user can use any machine with a connection to the server to manage the business from anywhere in the world with high security. SMEBS extends the support to access the application on windows mobile devices and mobile phones so that to update customer orders from the customer’s location itself and other mobile utilities. ShanShin Middle East Business Solution is an enterprise resource planning (ERP) system that integrates and automate many of the business practices associated with the operations or production aspects of a company, serving both the domestic and international sectors to help the companies of any size for achieving their defined business goals effectively. These typically include and can aid in the control of many business activities, like Financial Management, Inventory Control, Payroll and Human Resources Management for a Business Organization/Company of any size. It will differentiate itself from its competitors (generally larger firms) through lower pricing, enabling existing levels of business process without a need of changing the business process to accommodate the technology integration and many other attractive features. SMEBS provides an integrated information system for the management of Middle East Business with bi-lingual support (Arabic-English) and Multinational Business with Multi lingual support (Indian and German Languages). SMEBS serves all warehouses and departments within an enterprise to integrate data captured at all different stages thus optimizing processes and providing managers a clear and complete perspective on their business across national, currency, and organizational boundaries. The benefit is that organizations streamline their operations and perform activities that add value efficiently and effectively. It is further designed to help the companies determine best practices across multiple sites, with solutions that allow organizational structures to be flexible in response to local requirements. Because of the applications' underlying architecture, the application can be configured and modified on an on-going basis. SMEBS is an intelligent front end application for any advanced database server like Oracle (Ver. 8 to 10g), SQL Server and Microsoft Access depend upon the requirement of the user. The back end database can be accessed without installing the client part of the database in the user machines and any number of concurrent users can be created to access the application besides having the features to create unlim ited users to access each modules. SMEBS can be used as a standalone application, on Local/Wide Area Network or on Intranet/Internet (Web) environment and on windows mobile device in a single installation. Thus an enterprise having number of warehouses, companies across the world can use the same application to bring the business management in a single integrated environment, housed with their own database and network and can all fit under one umbrella. SMEBS can manage any size of business ranging from medium level to the largest business organization/Company within the Republic and the Middle East. 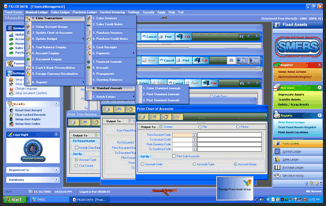 SMEBS provides certain excellent features like showing Arabic and English meaning as tooltip on all the texts displayed on the screen despite of providing separate interface in English and Arabic, able to change the screen to English and Arabic at any point of operation, generates reports in English and Arabic as desired by the user, optionally maintains English and Arabic Records, Optionally use Hijri and Gregorian dates, optionally use any date formats. 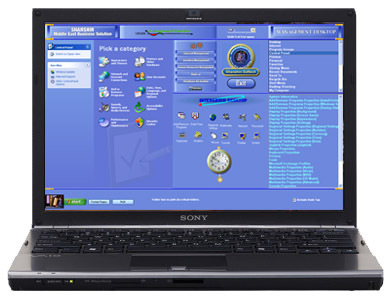 The system provides even the facility to change the menu titles and any caption displayed on the screen to user defined titles in Arabic and English. The System has inherent features to support any languages which can be extended depend upon the requirement. Shanshin Financial Management System is an intelligent System in Accounting, Finance and Management which performs all the tasks commonly associated with recording and reporting all financial transactions for any company. It is fully an integrated System comprising of the five sub-systems: Fixed Assets Register, General Ledger, Accounts Receivable, Accounts Payable and Service Invoicing. Shanshin Human Resources & Payroll Management System is a multi company, multi cost center, multi division system, which may be used as a standalone system, or as a part of the total Shanshin Business Solution. The Payroll sub-system will handle weekly payroll as well as monthly payroll. Shanshin Inventory Management System is a multi company, multi warehouse system that may be used as a standalone system, or as a part of the total Shanshin Business Solution. covering all aspects of the control of inventory management from receipts to issues including real time multi site views of current and expected stock. It is designed to integrate all your external and internal functional areas in a process -based environment to ensure a seamless link for all transactions between suppliers, customers and across different Warehouses of a company. In an integrated environment, the Inventory Management module will update the financial records as appropriate through special posting routines designed for this purpose.